Google's never been the best at hardware, but the Nest is the best-designed thermostat hands-down. By 2017, the typical mobile user will share their personalized data stream with 100 applications and services every day, with wearable devices and Internet-connected appliances fueling the use trend, according to Gartner. While Facebook, Twitter and Snapchat have had a major influence on users' willingness to share personal information with others, companies in emerging areas such as health tracking, "smart" home appliances and automobile technology are poised to give rise to a new world of apps that could take our data and analyze it in powerful ways, Gartner said in a report released Wednesday. "In the next three to four years, apps will no longer be simply confined to smartphones and tablets, but will impact a wider set of devices, from home appliances to cars and wearable devices," said Gartner research director Brian Blau in a statement accompanying the report. "By 2017, Gartner predicts that wearable devices will drive 50 percent of total app interactions." Because things like refrigerators, thermostats or wrist bands often don't have a central screen or interface on them, apps and other software are needed as the conduit for exchanging the data between the user and the company or device, Gartner said. "As users continue to adopt and interact with apps, it is their data -- what they say, what they do, where they go -- that is transforming the app interaction paradigm," Blau said. "In the next three to four years, apps will no longer be simply confined to smartphones and tablets, but will impact a wider set of devices, from home appliances to cars and wearable devices." By next year, cognizant computing will be a "key enabler" used in smart homes, Gartner said, with connected appliances and devices increasingly able to anticipate user behavior and needs. Data analysis will allow appliances to, for instance, initiate tasks such as turning on the hot water heater at a particular time or even calling for help or a doctor in an emergency in a home. Some companies already offer incentives to get users to share personal data. For example, Lumo Lift tracks people's movements to help them focus on improving their posture, while the June bracelet tracks sun exposure. In its report, Gartner argued these sorts of devices will help to increase the use of applications that connect with them. But a looming question is whether consumers will be on board with this level of data sharing. The involvement of major technology companies such as Google could also raise consumers' concerns too. 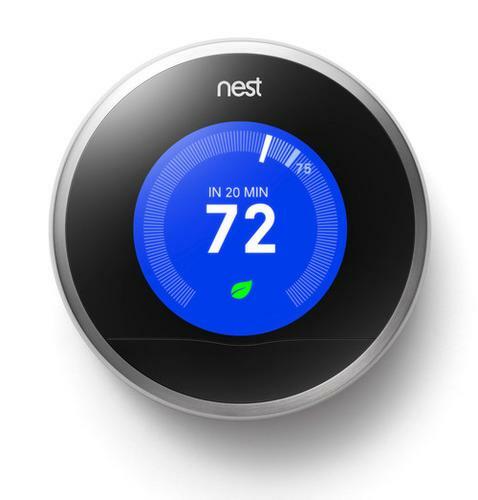 Last week Google announced it was acquiring Nest, a company that makes "smart" thermostats for homes. But if companies can provide real value, many consumers will probably be okay with that, or at least go with the less creepy company, Gartner's Blau said. In Nest's case, for example, the idea is that saving money on your energy bills outweighs potential fears that other evil entities might learn when you leave your house.